One of the distinctive features of the Roland Park landscape is the set of footpaths that connect streets throughout the district. 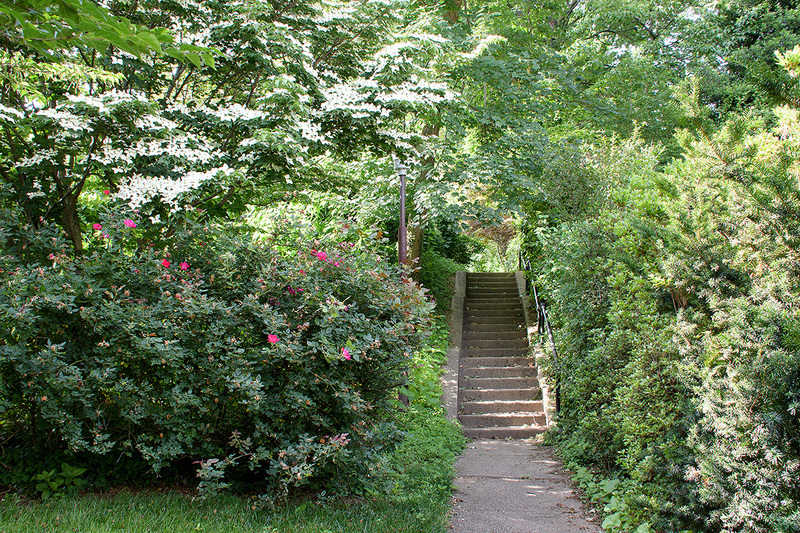 The paths provide a beautiful diversion for a short walk, or can link up a longer hike across our neighborhood. A map showing the location of the paths and street islands can be found here. 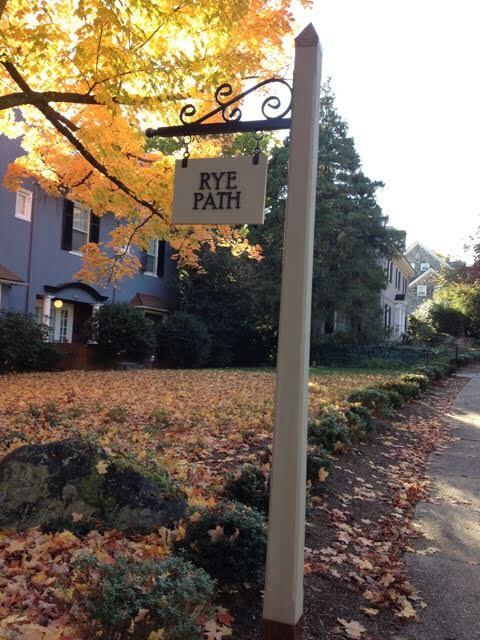 An explanation of Roland Park’s plats can be found here on the Frequently Asked Questions page. 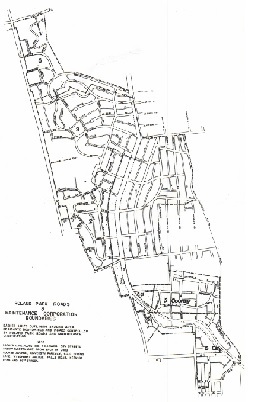 The map immediately below, available in either Google Maps or PDF format, shows each plat outlined on a map. 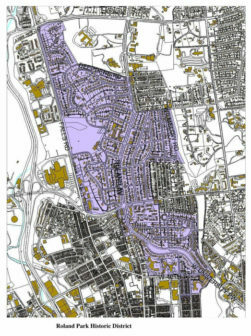 Readers should be aware that these on-line maps are not definitive. The deeds for each property contain the definitive information. Some properties are in more than one plat. 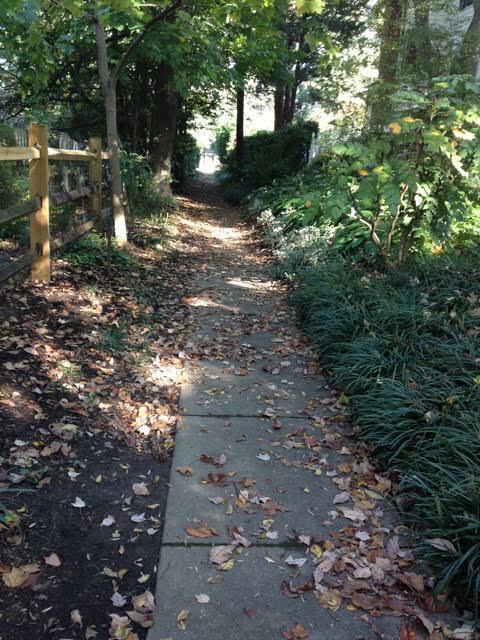 For assistance in determining what plat(s) a property is located in, please contact the Roland Park Office here. You can click here to view Plat Map in Google Maps. It’s also available in PDF format here. 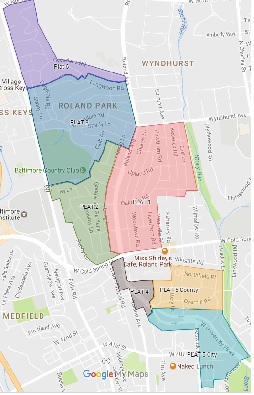 An overall boundary map is shown below (click to enlarge), along with a boundary map for Roland Park’s sister community of Guilford, developed by the Roland Park Company as its second project. 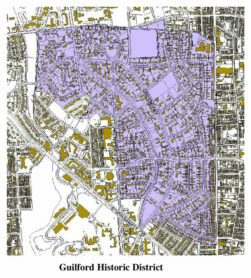 These maps are U.S. National Park Service maps, and they exist because both Roland Park and Guilford are registered historic districts.